The Honduran Caravan is expected to arrive during the overnight hours, landing near Del Rio, Texas. 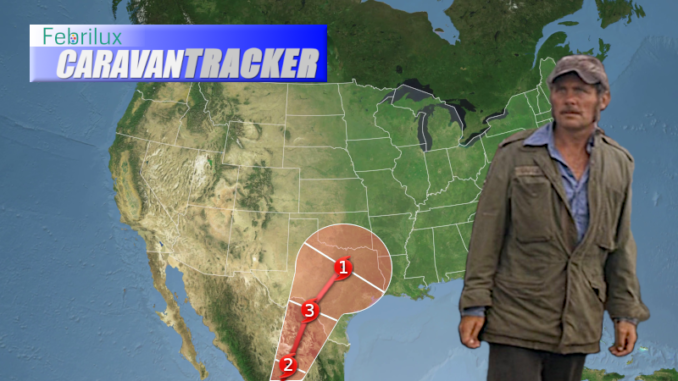 Currently a Category 2 Caravan, it is expected to reach Category 3 by the time it hits the Texas-Mexico border, and later weaken to a Category 1 as it continues on a northeast track. The caravan is expected to slow dramatically once it reaches the border, dumping hundreds of Honduran migrants on southern Texas. There is no storm surge expected with this caravan. We will continue to keep you updated on the situation.